Welcome to the 43rd installation of This Week in Solus. We’ve been hard at work after last week’s snapshot on various items. We got some early reports of hardware incompatibilities with Wayland as well as issues on the GNOME edition of Wayland breaking important functionality like the ability to re-login after a logout. After some investigation, we have decided to temporarily disable Wayland in both gnome-session as well as GDM. Alongside this issue, we also discovered that the Epiphany web schema keys, such as user-agent, were not modifiable via dconf-editor by end-users, so this issue was resolved. solbuild also received an update to be compatible with the new libgit2, which we upgraded alongside gitg and enabling git support in gnome-builder. Our kernel was updated to 4.9.24 and disabled vga=current as it would cause boot failures. Lastly we synced upower with git due to many upstream changes being unreleased that were needed to resolve “critical actions”, which would spam multiple popups and battery icons. Since 2013, we have been utilizing our tool, Binman, for syncing our unstable and stable repositories. The repositories have grown dramatically since the original design of binman, and as a result, binman has caused syncs to take longer than desired, with the sync during our ISO snapshot taking a total of 104 minutes and delaying the release. To enable shorter sync windows and immediate available of packages, as well as to help upscale infrastructure for community maintainers, we’re developing ferryd (pronounced ferried). ferryd is a daemon for enabling the safe transit of packages, monitoring uploads from a secure build server, and aims to provide simple management of the Solus repositories, with a rigid approach to caching by pooling assets and hardlinking them into the appropriate place. Bryan has been hard at work implementing the command-line interface of Cuppa, the upstream tracking assistant, and will be leveraging Cobra for a more complete implementation. He’s also planned support for BitBucket and Crates.io and discovered that Launchpad is inconsistent in its handling of version numbers, which will be addressed soon. Normalization of version numbers will be implemented to make comparisons between the versioning of Solus packages and upstreams easier. Solus uses consistent versioning that may not be the case upstream, such as 2.47 whereas upstream may be 2_47, v2.47, or release-v2.47. Cuppa will see support for configuration of the GitHub API key, so rate-limiting will no longer be a factor, and in his initial testing we now cover 1⁄3 of the package repositories in Solus, with plans on improving coverage through various methods like planned support for HTML scraping, enabling tracking of GNOME and KDE upstreams. Made downloading of editions easier and in some cases faster. Looking forward, some immediate plans for the future ISO is an upgrade of our ffmpeg 3 to ffmpeg 3.3, as well as upgrading systemd. 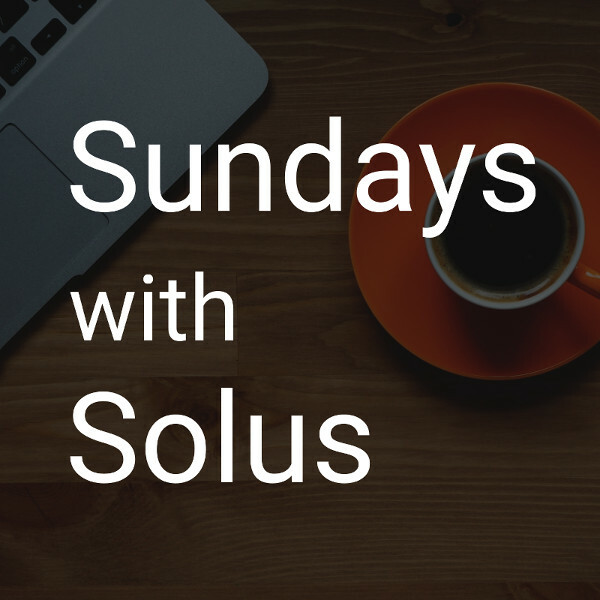 Sundays with Solus is back and this time, in audio format! This was a decision made back in January to shift from using Hangouts to locally recorded audio, enabling better audio quality. It also seemed logical, as our Sundays with Solus were audio-focused anyways. I’m currently working out the infrastructure bits for doing a live stream of Sundays with Solus, simultaneously to Facebook Live, our site, and our Youtube channel, as well as working on podcast-specific RSS feeds for MP3 and OGG. I’ll have a future announcement when all of those bits are ready, however I didn’t want to hold back on getting everyone the latest news in an edited format, so below are the MP3 and OGG! Fri, 14 Apr 2017 01:33:12 The team talks about work done since the snapshot 2017.04.18.0, ferryd, cuppa, plans for the new site, and more. Here is a highlight of package since our ISO snapshot! epiphany: Resolve inability to access web schema via dconf.